The first day and there was about 80 kids, the next day there was over 100. Whilethis was a culture shock for Mariah she did a good job getting over it and adapting. Our Team for the camp included our family, Mariah, a few of our friends (Moses, Rutherford, Ali, Maribi, and Alicia), and the staff at the Haitian School. Throughout the campI found myself incredibly burdened for the children of the area. 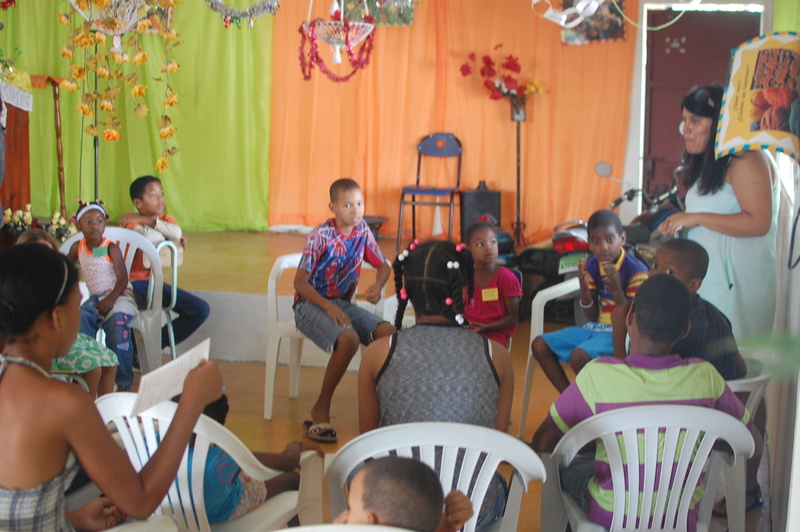 There was a 100 kids and no evangelical Dominican Church in the area. We were their for two weeks clearly proclaiming the gospel every day, but there was no one there proclaiming the gospel to these children and their families on a weekly or even monthly basis. I couldn’t get it out of my mind. I kept praying about it and praying about it and just felt an intense sadness in my heart for these children. Tuesday night our friend Moses was over and we were talking about a poor child him and Randy had seen that night on the streets. He said that when he sees these kids he doesn’t see a poor kid, he sees a kid with potential that if but on the right trajectory could do great things. He said “I used to be one of those kids but someone took the time to care about me.” As he was talking I realized how much I loved these kids. They live out city, in the country, where they are basically forgotten about. They are wild and fight about everything. They will throw a punch for just about anything. It is also hard to get a picture without someone flipping off the camera. 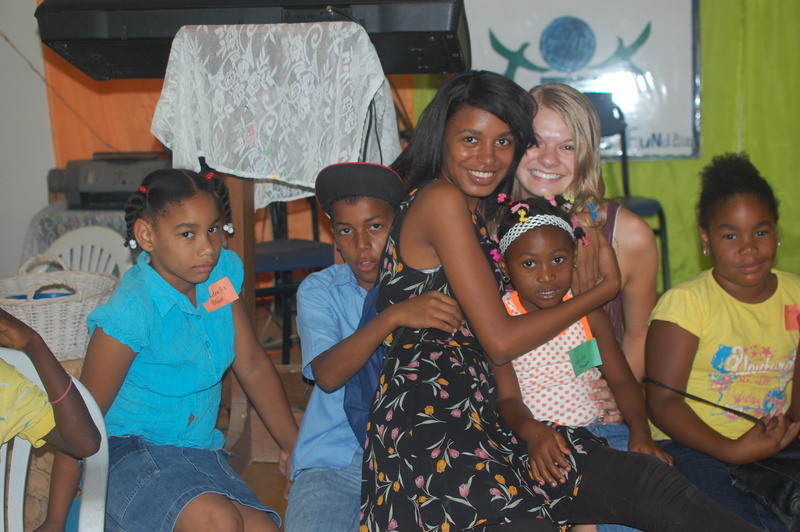 Some of these kids desperately need someone to love on them and all of them need someone to tell them the gospel. Some of the kids waiting for Camp to Start. The white cards in their hands are their report cards that they all brought to camp to show us. So from this English Camp we have decided to start a weekly kids ministry. 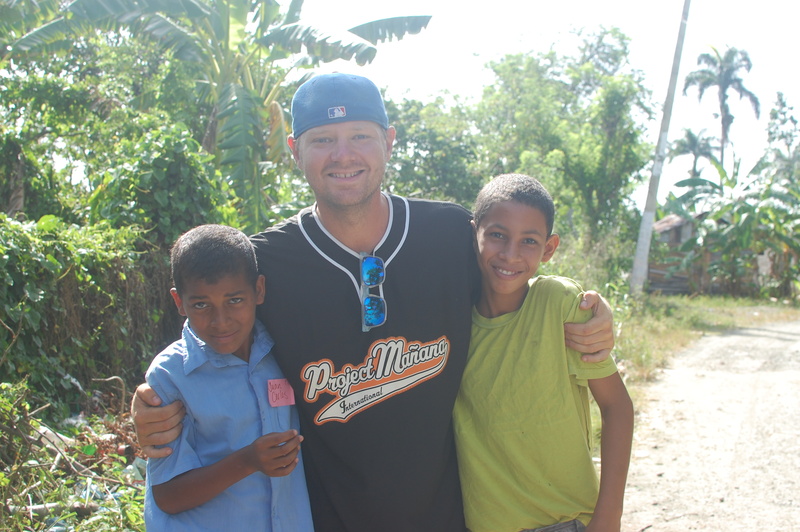 We hope to be able to do some homework help, play games, and then preach the gospel over and over and over again. 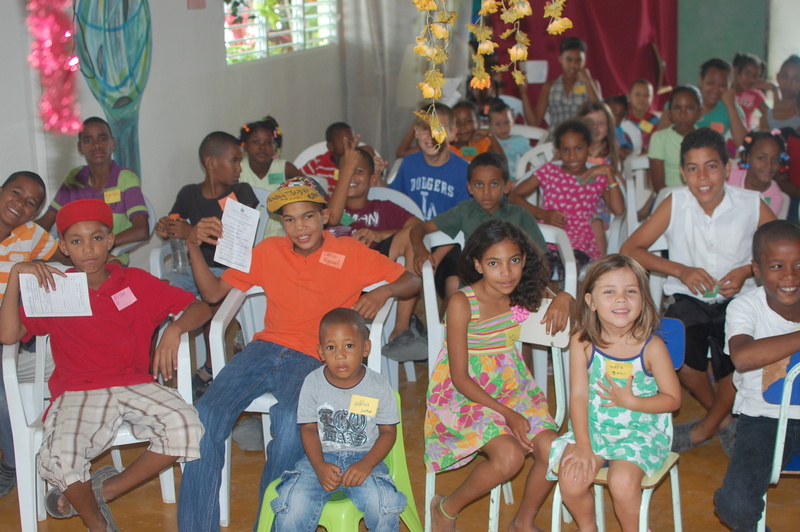 It is our goal to work with other Dominicans, and get involved in the lives of these children and the lives of their families. However, we are still praying that a Dominican pastor would feel the need to plan a church in the area. More exciting news is that we are also hiring our friend Ali to help us start this ministry and another. Still more exciting news is that Mariah has decided to stay with us for the year! We are thrilled to have her. She is so good at a lot of the things that I am not and will be a huge help for me. We are thrilled and praising the Lord for his grace as we move into our 2nd year of ministry here in the Dominican Republic. Two of the wilder boys in our camp. 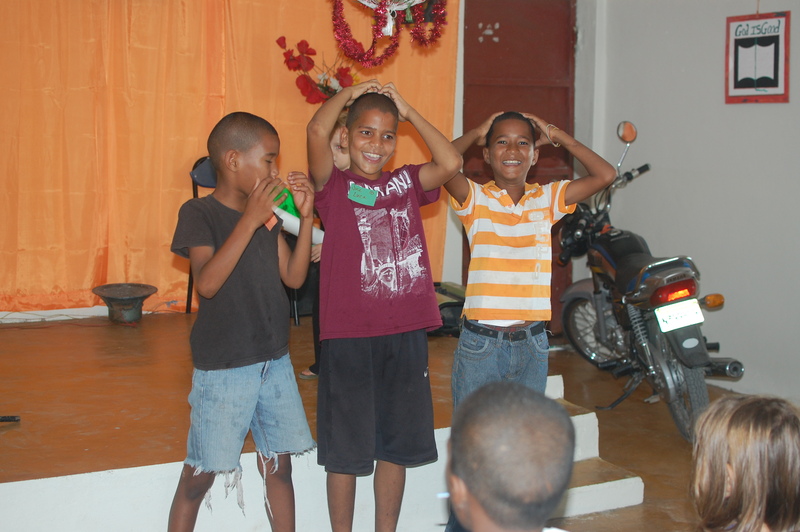 If you think of it please pray for them (Jon Carlos and Jesus), that their lives will be changed by the gospel.